This year the color palette for Fall 2017 leans more towards warmth. The Pantone Institute of Color so helpfully released the top 10 shades from the runways at New York fashion week. A powerful, evocative, dynamic red, Grenadine is a confident and self-assured attention-getter. 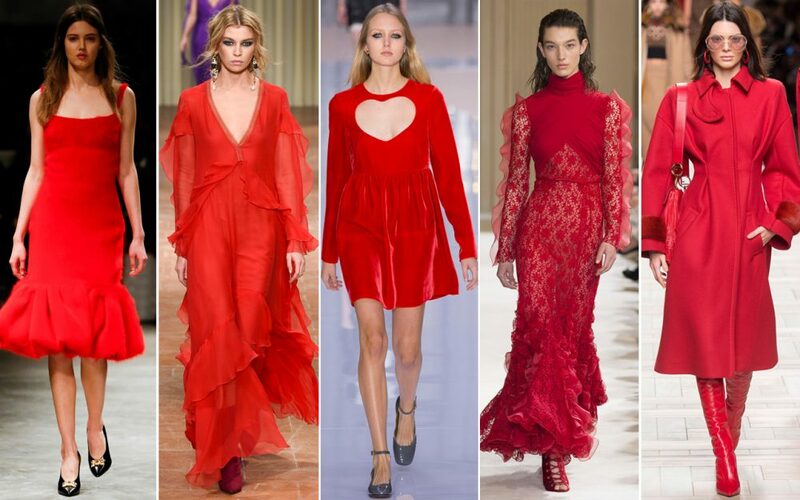 This confident, dynamic red manifested on the runways in shirt-dress form at Brock Collection, as a high-shine top and tailored pants at Oscar de la Renta, a sweeping coat dress at Jason Wu, an embroidered pantsuit at Derek Lam, and an elegant puff-sleeved knit dresses at Ryan Roche. Taking the Red family to new depths, Tawny Port is elegant, sophisticated, and tasteful. Tawny (also called tenné) is a light brown to brownish-orange color.The stars have had a taste of the shade, like Chrissy Teigen at the Beauty and the Beast premiere (in Raisa & Vanessa), Michelle Obama at the inauguration (in Jason Wu), and Emma Stone at the London screening of La La Land (in The Row). Descended from the Red family but with a softer touch, Ballet Slipper is always flattering and reminiscent of the rosy glow of health. It lends a soft touch to any look, whether it’s a velvet cocktail dress, as seen at Cinq à Sept, or a crisp pantsuit at Gabriela Hearst. This snug, warming, and toasty shade is evocative of drinking a glass of Butterrum by a roaring fire on a cool autumn evening. More like butter-yum. It’s that toasty, comforting shade that you want to envelop yourself in on a cold night or blissfully sink into after a stressful day. So no wonder we saw it take the form of a chunky knit at Tory Burch, a slinky slip-and-fur pairing at Jonathan Simkhai, or plush cords at Marc Jacobs. A mainstay for the season for both palettes, Navy Peony is a dependable and an anchoring shade. Solid and stable, the hue takes some of the load off of black as a go-to neutral. 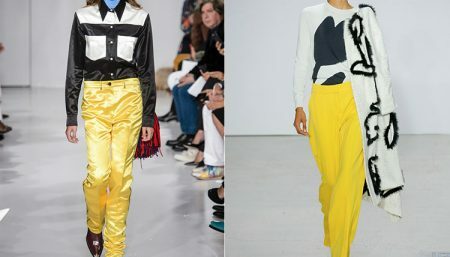 It looks like it’s a favorite for a load of designers at NYFW, including Tibi, 3.1 Phillip Lim, Jason Wu, Brandon Maxwell, and Carolina Herrera. One of our favorite red carpet looks for this season. The standard bearer of all neutrals, Neutral Gray shares the anchoring role with Navy Peony in this palette. 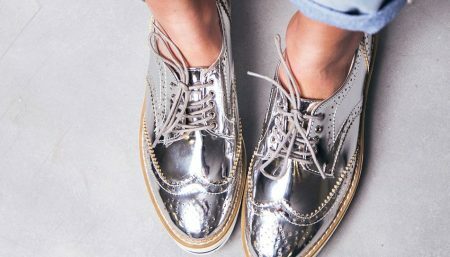 It can be used as an accent or a head-to-toe statement shade. Safe, dependable, and familiar, gray is always in. 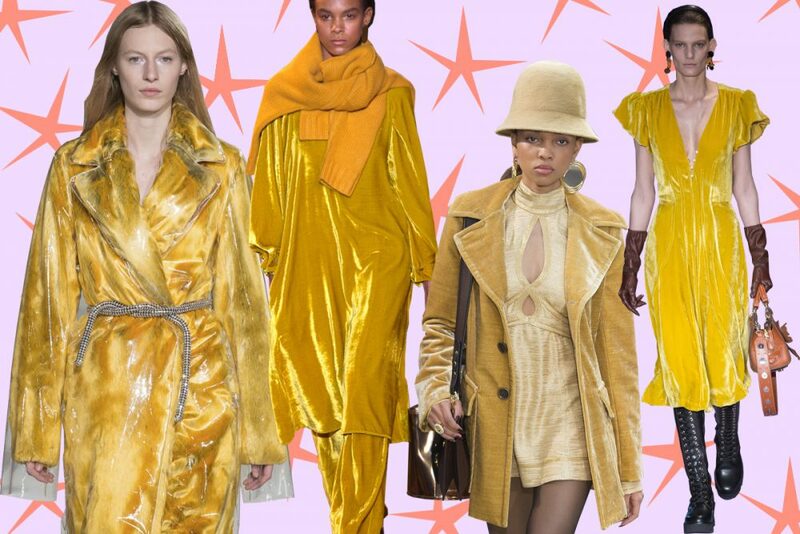 It happens to be the go-to shade for the riot of pantsuits that took over the fall 2017 runways, including Calvin Klein, Gabriela Hearst, Alexander Wang, and Victoria Beckham. This is a green you might see in the forest – sheltering and protective as evergreen trees. This is an evergreen shade, and we saw it at Prabal Gurung, Brandon Maxwell, and Tibi. This incredibly rich green color has already been worn by Alicia Vikander (in Louis Vuitton) at the Oscars after-party, Michelle Dockery (in Max Mara) at the Women in Film party, and Amy Adams (in Tom Ford) at the BAFTAs. Earthy tones with a twist, the golden undertones of Golden Lime makes this yellow-green shade a refreshing complement to fall classics. An “earthy tone with a twist”. A hard color to pull off, but Adele (in Givenchy) at the Grammys, Julianne Moore (in Giambattista Valli Haute Couture), and Sasha Lane (in Louis Vuitton) at the Film Independent Spirit Awards all managed with aplomb. Cool with an enhanced vitality, Marina is the only truly cool color in the fall palette that brings with it freshness and brightness. A brilliant, yet calming blue. 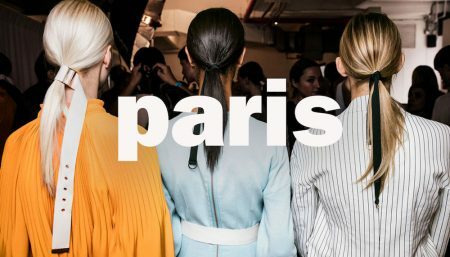 We like to think wearing Marina (perhaps any one of these looks from DVF, Sies Marjan, Tibi, or Cinq à Sept) is the equivalent of drinking a refreshing glass of water. Case in point: Jessica Chastain (in Prada) at the Golden Globes. A quintessential autumn color, Autumn Maple is tawny and russet, introducing warmth into the palette. It is described as the “quintessential autumn color.” After all, it’s in the name. 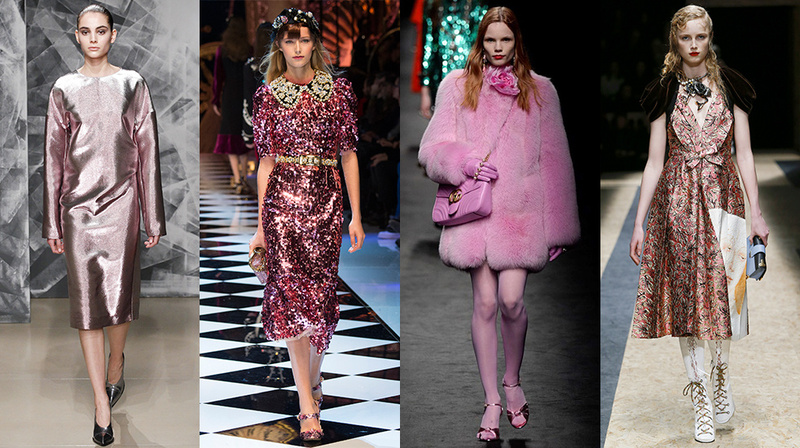 The awesome-est, autumn-est collections include 3.1 Phillip Lim, Tory Burch, Brock Collection, Delpozo, DVF, and Coach. Make sure you have the colors in your wardrobe.